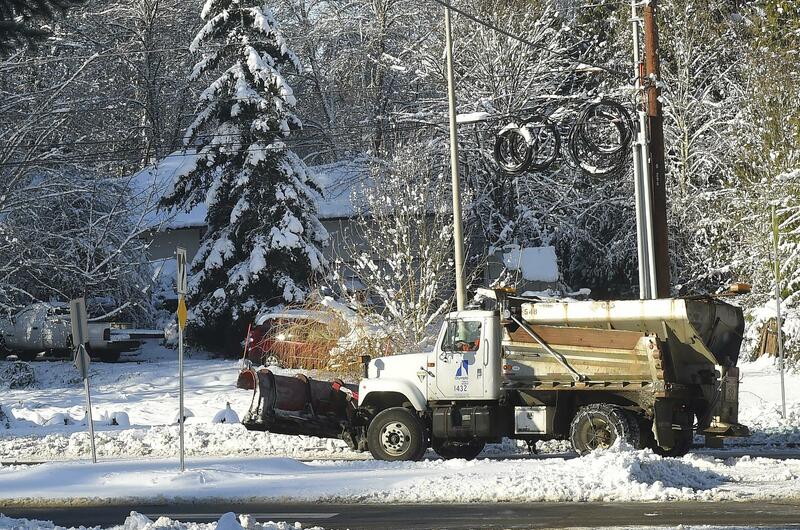 Mon., Feb. 11, 2019, 12:48 p.m.
SEATTLE – Schools closed across Washington state and the Legislature cancelled all hearings Monday as snow and ice storms pummeled the Northwest again, with more winter storms predicted for areas that typically experience very rainy winters but usually get very little snow. Seattle’s metro area has already been hit by three snow storms this month and the National Weather Service reports that Seattle-Tacoma International Airport has received 14.1 inches of snow so far in February. The latest storm to hit Seattle dumped 2 and 4 inches of snow and forecasters said more snow or rain was expected Monday and Tuesday for Washington state. “Where changeover from snow to rain occurs, roads will likely become a slushy mess,” the National Weather Service said. Elsewhere around the U.S., the Midwest braced for more ice storms, heavy snow was expected for Michigan’s Upper Peninsula and roads in northern Utah were icy. Published: Feb. 11, 2019, 12:48 p.m.